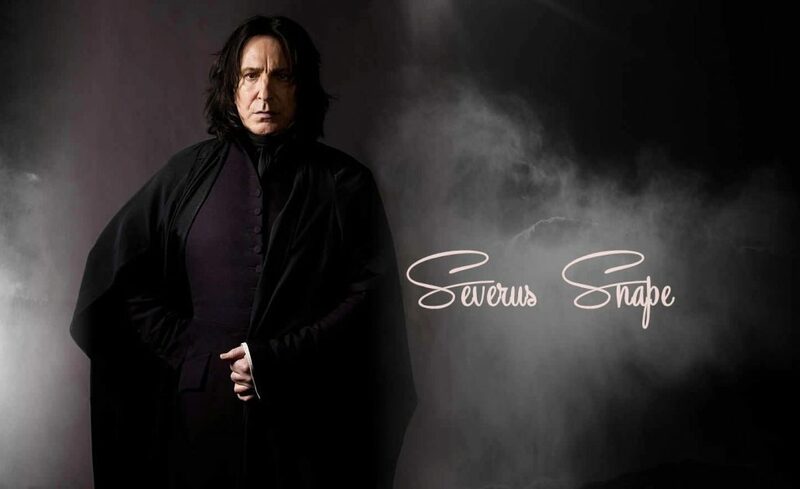 We will always love Professor Snape for how much ever have we hated him for so long, once the truth was spilled out about him, he really would have been the bravest man that Harry would have ever met for loving someone truly even when they don’t love you back, every single day of your life, is something only a brave heart is capable of. 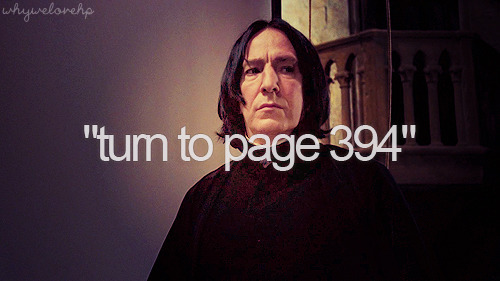 Professor Snape is an inspiration to many people. People will think you’re up to something. Professor Snape, has always looked out for Harry. He made sure that he never did anything wrong to be caught into trouble. He had his own ways to make him do what was the correct thing to do. He made it a point that Harry must know when to be out and when not to be somewhere he might get into trouble. At first, it all seemed like he was being mean but once the little secret to the past was out, everyone got to know what the truth was and that worked for the best except one thing that we’ll always be guilty of having hated Snape while he was alive. Well, how they say discipline is what we learn at home. This clearly communicates that we are taught discipline by our parents. But what about those poor children who don’t have their parents. Snape always took care of Harry as if he were his own child. Be it anything, Snape was undoubtedly and willingly, the father figure to Harry which we all took as cruelty initially, not understanding it at all that he was just doing what was good for Harry. It may have escaped your notice but life isn’t fair. As professor Snape puts it, we might miss it from time to time but then it is true that life really isn’t fair. It plays tricks with everyone. For some, they are easy tricks, for other few, they are the ones that help them out. Snape understood it well that life wasn’t fair. In fact, no one at all could have understood that better. This too came as a harsh one o our minds but then, we all learnt our lessons that our dear professor taught us and understood it really well that the life we live, is just not fair. Your father was a swine. Well just as Snape proclaimed it to Harry that his father was none less than a swine to Snape, I’m sure everyone who has loved Harry must have felt that ‘no, he wasn’t, in fact, you’re a swine, Snape.’ We had all felt wrong about Snape and right for James. Though none of us fell into hatred for James later but Snape, well, we all fell in love with you. True love, is what Snape teaches us the best. Forget potions or werewolves, true love is what is taught best by him. Whilst he asks for help from Dumbledore to keep Lily and her family safe from the dark while Harry was still a baby, he was asked what he would give in return if the family was protected. Without having thought a moment, he exclaimed that he would do anything. There can exist no truer love. Not having saved the potter family, Dumbledore is questioned by Snape. He never disclosed it to anyone that he was so deeply in love with Lily. He never wanted anyone to know that he loved her truly. He wanted it to be something between him and Albus Dumbledore. Dumbledore had agreed that he wouldn’t reveal the best of Snape to anyone. Keeping it to himself all that while was yet another thing that Severus Snape did to astonish us all. Professor S. had beautifully taken care of Harry all those years. Just so the dark lord would trust him completely, he killed down professor Dumbledore to have Harry hate him even more. No one in Hogwarts would have trusted him, yet, to be able to save Harry somehow later, he killed Dumbledore for as had been told by Dumbledore himself. He said it out loud to that he loved Lily and would always love her.